The Macedonian Medical Association (MMA) is a professional organisation of the medical doctors in Republic of Macedonia. The Macedonian Medical Association was founded on August 12th, 1945 as an Association of doctors, dentists and pharmaceutical chemists. The later two, the pharmaceutics in 1947 and the dentists in 2004, separated from MMA and formed their own associations. At the very beginning MMA consisted of only 123 medical doctors and dentists and 96 pharmaceutical chemists. Today, MLD gathers together over 5000 medical doctors of all branches of medicine, of whom approximately 35% are general practitioners and 65% are specialists in various fields. These medical doctors are further assembled in around 70 specialists and sub-specialists associations and 20 local associations according their place of work and living. Over 70 years, generations of doctors – MMA members, on an entirely voluntary basis, with enormous enthusiasm, unselfish efforts and self-sacrifice, have been carrying out their mission with great success. Today, MMA is a well established pillar of the healthcare system of the Republic of Macedonia and an extremely significant segment in the overall social development of the country. MMA was the predecessor of the Medical Faculty as a most relevant source of teaching staff, because many of its members later became professors at the Faculty. MMA initiated the idea and established the Medical Chamber of Macedonia as a separate institution. MMA maintains bilateral and regional collaboration with many countries of the world. MMA is a legitimate years-long member of the World Medical Association (WMA) and the European Forum of Medical Associations EFMA/WHO. MMA, through its specialists and sub-specialists associations, is also a member of more than 80 international specialists associations and organizations. In 2005, on the initiative of MMA, the national medical associations of Macedonia, Bulgaria, Albania, Greece and Turkey established the South East European Medical Forum – SEEMF. 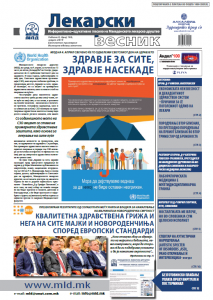 Soon after its foundation, the medical associations of Montenegro, Slovenia, Romania and Serbia joined the forum. In 2010, at the First SEEMF Congress (accredited by UEMS, EACCME), the medical associations of Ukraine, Kazakhstan, Belarus, Latvia, Azerbaijan, Armenia and other countries became SEEMF members. 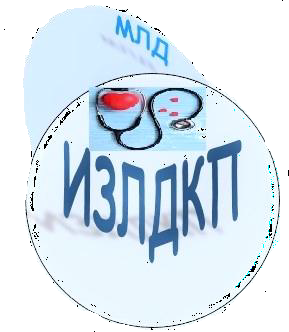 Our mission is to continuously improve the quality of the healthcare of the population through improvement and development of the Macedonian medicine and related sciences; to add value and protect the dignity and reputation of the medical profession through establishing a good medical practice and high ethical standards; and to protect the interests and rights of our members. The Macedonian Medical Association is the main generator of the Continuing Medical Education (CME) and the Continuing Professional Development (GPD) of the medical doctors and related professions. establishment and maintenance of bilateral cooperation with the medical association in Europe and broader.